Last week, I showed you how to protect your skin while you're out in the sun. This week, I'd like to tell you about a fungus that's quite good for your skin. In fact, more and more dermatologists are using this fungus because of how well it protects your skin. 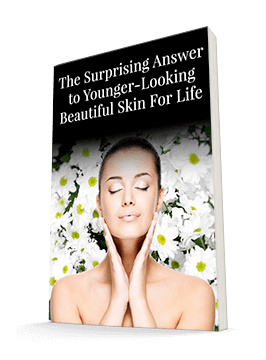 As you may know, your skin is an important part of your body's immune system. It acts as your body's first defense against germs and other damaging attackers. For the most part, your skin won't let bacteria and virus get into your bloodstream or your organs. In fact, your skin has a couple of different ways to protect your body. It starts with Langerhans cells. These cells are an early warning system that alerts your body's immune system to certain attackers. The skin also has the ability to secrete antibacterial substances to keep mold and bacteria from growing on your skin. These substances allow your skin to be moist without harboring germs that love moist environments. Any mold spores or bacteria that land on your skin die quickly because of these substances. Because the skin is a major part of your immune system, it makes sense to take supplements that boost your immunity. This starts with antioxidants like vitamin C. But there's a relatively new way to boost your immunity that is proving to be a vital part of your skin's health - mushrooms. Mushrooms are the fruiting body of a fungus. While it might be surprising that a fungus is good for your skin, edible mushrooms make sense. They are powerful superfoods that act as vacuum cleaners in your bloodstream. They absorb toxins, dangerous blood fats, harmful pathogens, and stagnant mucous. All of these can do significant damage to your skin. Mushrooms are high in beta-glucan. Beta-glucans help stimulate the immune system and protect you from viruses, bacteria, and other disease-causing pathogens. The mushroom Royal Agaricus (Agaricus blazei), in particular, is especially good for your skin. Royal agaricus mushrooms have the highest known levels of beta glucans of any mushroom. Their beta-glucan content helps your skin heal faster from rashes, blemishes, damaged skin, and other such imperfections. Many cosmetic companies are starting to use mushrooms in their formulas because some of their beta-glucans reduce the signs of aging. They help protect and restore the collagen tissues under the skin's surface. This makes them quite effective for preventing and reversing wrinkles. Dermatologists are starting to catch on to this secret, and are now recommending mushroom products to protect and heal the skin. I've found that mushrooms are quite effective at protecting your skin from the inside out. Eating mushrooms and taking a mushroom formula like MycoPhyto Complex can boost your overall immune system, which includes your skin. MycoPhyto Complex contains six powerful mushrooms blended together under strict laboratory conditions. I recommend taking it year-round to boost your overall immunity. But you can help get your skin in great health and ready to take on the sun by taking one bottle in early spring. It won't stop the sun from burning your skin. But it will help it bounce back more quickly if you happen to stay in the sun too long without protection.